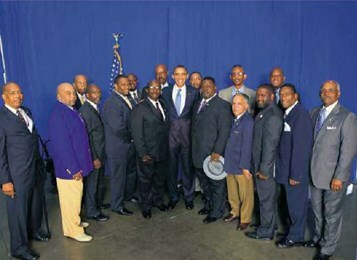 President Obama (center) stands with the Men of Omega Psi Phi fraternity, whom gladly took the helm on the subject of Fatherhood at the request of the President, and fraternity brother, Thabiti Boone (far right, front row), who led the President’s initiative. 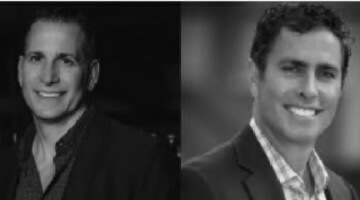 Boone will speak at “A Father’s Heart” conference June 15 and 16 in West Palm Beach exploring all aspects of fatherhood. 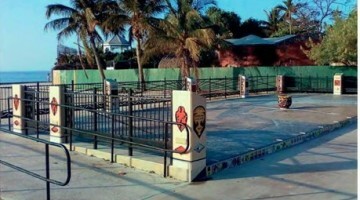 RIVIERA BEACH, Fla. In this day and age, fatherhood is complicated. It’s nothing like with previous generations when the father was the head of the household and everyone looked to him for guidance, support and to have a firm grip on family affairs whether large or small. Not so today. Single mothers so often are trying to do the job of both the father and the mother, though it can never be done, as the family was not meant to be structured that way – despite the very valiant effort of single moms everywhere. But just in time for Father’s Day, when the spotlight is on dads, the Sickle Cell Foundation of Palm Beach County presents: “A Father’s Heart” Conference, where they will examine nearly every aspect of fatherhood — particularly as it pertains to the African American father and how he co-exists, communicates, interacts and takes care — or lack thereof, of his children. The organization is pulling out all the stops, bringing in experts from the Obama Administration, Johns Hopkins Medical Center, a northern school district top official as well as noted local experts on the subject. They’ll look at faith and fatherhood, conversations fathers must have with their children and their mothers, respect, obedience, financial matters, a father’s presence in their kids lives and even their child’s educational outcomes based on their involvement. Surely, there will be a plethora of information, knowledge, guidance and candor that will be explored and provided over the next few days. And if a father wants to be better or do better, he will walk away from this gathering equipped to do so. In addition, there will be health screenings including HIV, blood pressure, blood sugar, cholesterol testings, as well as mental health screenings, prostate testing, nutrition and vision testing. All workshops and functions will take place June 15 and 16 at the Riviera Beach Marina Events Center, located at the Marina on 13th Street in Riviera Beach. Over the next two days, they’ll delve into the meat of the subject with endless sessions, workshops, and an exploration of major topics on fatherhood as well as speakers from near and far. The conference will culminate with a “Men of Distinction” Awards Banquet and Dinner on Friday evening, June 16 at 6 p.m. at the Marina Events Center, the centerpiece of the newly constructed Marina Village facility that opened last year. Among the noted guests attending is former White House representative on Fatherhood, Thabiti Boone, who was appointed by President Barack Obama during his first administration. Boone is on program for both days of the conference and will share his massive experience on the issue. A teenage father who sacrificed a pro basketball career to take care of his child, Boone says President Obama tapped those who have walked the walk with the complications, perils and joys, of fatherhood — those who might have made mistakes but fought their way through to get it right. “It’s one thing to be a representative (of the President), but when someone says they’re going to make you a ‘champion’ of a cause – it’s like being a poster boy. That’s special because I’ve been through it … I’ve walked through it. It was an honor to serve President Obama,” Boone said during a phone interview. He also noted that it was indeed a comprehensive effort amassed by the President with a focus on raising awareness, developing partnerships, Psi Phi for their input. They immediately jumped on board and to this day, they are huge advocates on the subject, having created their own ongoing initiative on fatherhood. Boone said he is proud of how the fraternity has taken on the subject in such a special way. “It’s been a collective effort,” he said, noting that in his speeches and engagements around the world, he has found that many people now see that father’s are not as bad as they once thought. He owes that to President Obama making it a priority to change the narrative on the issue. And that is why Boone is so complimentary of the conference here in South Florida. There’s comprehensive help for those who want it and also a celebration of dads. “Hosting this “A Father’s advocacy, developing policies and funding, and last but not least celebrating fathers everywhere. Next post Change the NAACP or let it die?